Windows Drive Hider: Free Tool to Hide and Protect your Drives. 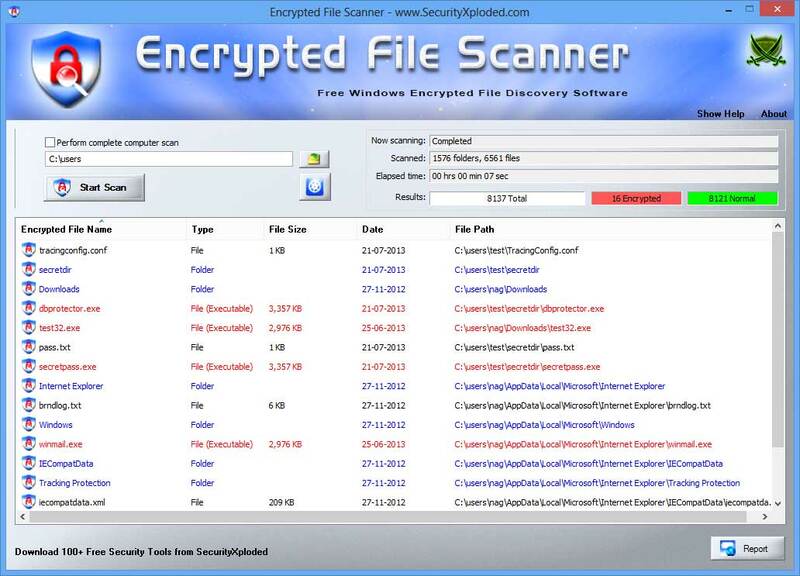 Encrypted File Scanner is the free tool to quickly scan and discover all the secret Encrypted files on Windows system. Encrypting File System (EFS) is the component of NTFS file system that enables transparent encryption and decryption of files on Windows. 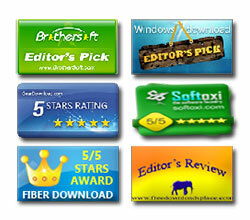 This allows user to encrypt his/her secret files with just a click and prevent other users from accessing it. 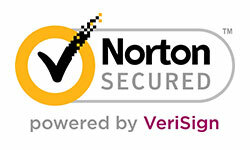 At the same time current user can access the encrypted files transparently as if they were not encrypted at all. 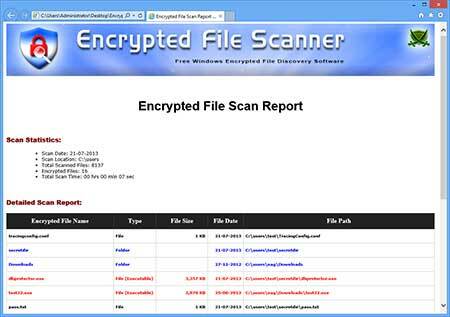 Encrypted File Scanner helps you to quickly find all such encrypted files using the parallel multi threaded scan of all the folders. It also automatically detects the Encrypted Executable Files (EXE, DLL, COM etc) and shows them in red color for easier identification. Similarly 'Encrypted Files' are shown in black color and Encrypted Folders' are shown in blue color. It also provides Settings Dialog to help in fine tuning the various parameters for scanning operation. It is very easy to use tool with its cool GUI interface. Particularly, more handy for Penetration testers and Forensic investigators. It is fully portable and works on both 32-bit & 64-bit platforms starting from Windows XP to Windows 8. 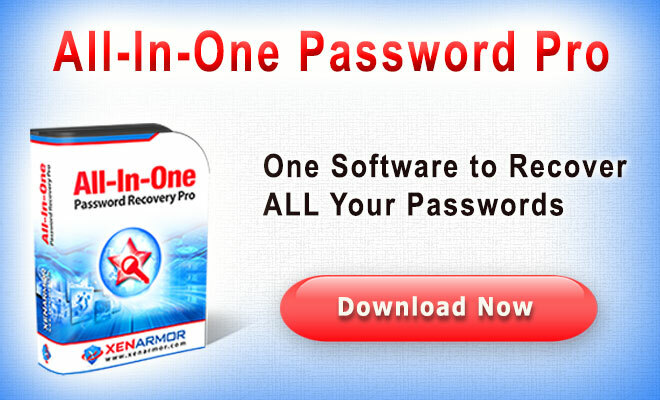 Encrypted File Scanner includes Installer which guides you through series of steps in completion of installation. Encrypted File Scanner is easy to use with its simple GUI interface. All the discovered Encrypted files will be listed as shown in screenshot below. Encrypted folders are shown in blue color and EXE files are shown in red color. Finally you can click on 'Report' button to generate detailed scan report in HTML format. 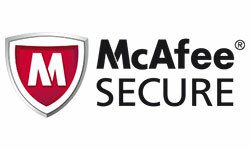 Note that EFS (Encrypting File System) feature is not available in some of Windows editions such as Home Premium. Also this feature is part of NTFS file system, so if you have drives with FAT32 or other file systems then it is not supported. Screenshot 1: Encrypted File Scanner showing all the discovered Encrypted files/folders on Windows 8 system. 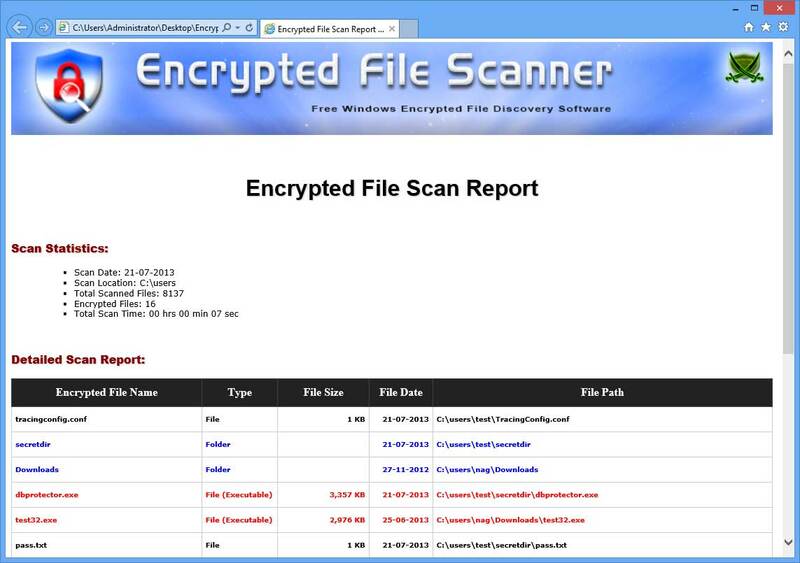 Screenshot 2: Detailed HTML Report of Encrypted File scanning operation. Check for NTFS Drives before EFS Scanning operation. EFS is supported only on NTFS drives unlike FAT16/FAT32 file systems.